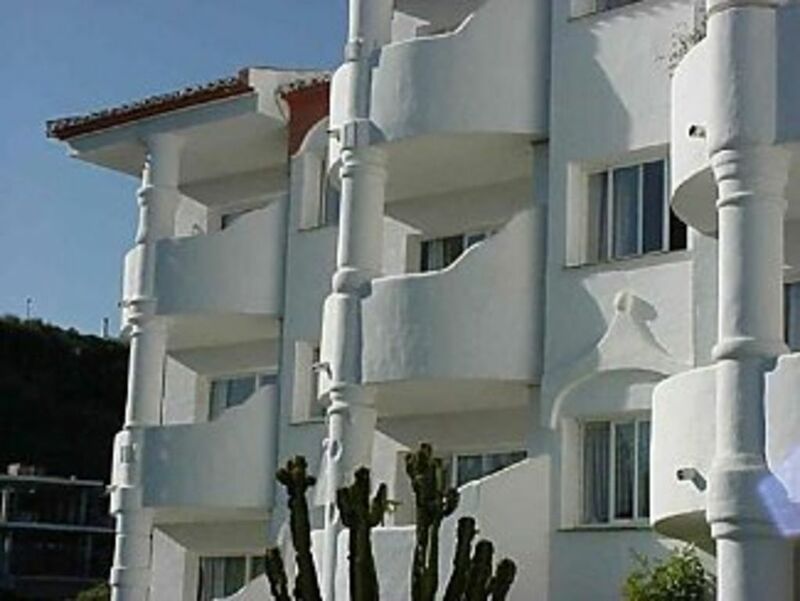 The 2 bedroomed apartment is situated in a tranquil area of Sitio De Calahonda. Stunning seaviews from the balcony living room and bedroom, make for a great holiday. Notably no buildings, cranes and other annoying unwanted views other than the sea!! A comfortably furnished apartment situated in a lovely complex with many Spanish residents. The complex is set within landscaped gardens and is walking distance to local bars and restaurants. 3 minutes by car will take you to Capobino beach where you can dine in one of the many restaurants and admire the port, and just 15 minutes from Marbella and Puerto Banus. The area boasts over 30 golf courses and the coast has many attractions including water parks and the beautiful Ronda, making it an ideal golfing or family holiday. Located above a nine hole Golf Course as well as Driving Range, Tennis Courts, restaurants and bars. All shopping amenities are close by, including banks, laundries, supermarkets etc. We bought the property because it was finished and there was no chance anyone could build in front. So we have great views and a lush rivine that is beside our property. The area is also quiet and perfect for children ( ours were 8 and 5 when we bought it, it in in a cul de sac and way off the main roads where driving is, to say the least, a little frought! Great beaches and golf ( directly below us , golf driving range ) Close to action but not right in it. Secure parking and cosy feel to the whole development, charm is still there not just a big concrete block that is seen all over the place with all the rapid expansion and poor finishing works to the newer properties. Additional cost of €15 per week in summer Ask owner regarding other dates. Not to be used on the beach please. Living room with sofabed, 2 comfy armchairs, limited TV channels , radio CD player. DVD player. Sierra Nevada is two and a half hours away by car. 9 hole golf course directly beside the development. Golf driving range directly below us. Cabapino Golf Course, 2 minute drive. La Cala, stunning mountain courses 15 minutes. At least 10 other courses within minutes of Calahonda. Very nice clean and fresh pool also with adjoining kiddies pool. Notes on accommodation: Clean and tastefully furnished. Very cool apartment in those hot summer months, due to shading from the rear. Excellent for children, quiet, away from the main roads. Outside: Beautifully kept development, with gardens surrounding the pool area, which is situated to the left hand corner of the development as you look out from the balcony. Excellent BBQ area and professional grill overlooking the Golf driving range With La Siesta Golf course beside us and tennis courts in Cariba del Sol, just around the corner. Plenty of sun loungers for those who just want to lap up the sun and stay near the apartment. Utility Room: Washing machine/dryer. Cleaning / Towels / Linen / Maid service: Bathroom towels and linen included. Please bring your own beach/pool towels. If mid rental cleaning required please ask the owner. Other: Dining room, extendable table and 4 chairs. Balcony, table and 5 chairs. Great location. Near to golf facilities, beaches and restaraunts. Halfway up the hillside development of Sitio de Calahonda is a small but peacefully quiet apartment looking out from the balcony to the sea. It's a gated complex with a golf course and health/sports club within an easy walk. The view is down the valley which is used as a driving range for golfers, and then out to sea. The sun comes up and it's a whole new day. Only crickets can be heard at night. A car is needed to travel out for sightseeing but local shops provide just about all you need and there are bars within ten minute walk down the hill. Yes it is very peaceful and safe. Cabapino beach and harbour, a lovely well kept area is approx 950 metres. Perfect for the day, lovely restaurants around the harbour plus beach restaurants and bars. Plenty of sun loungers and shaded parasols available for all the family. Malaga Airport, 25 mins drive. Car recommended if you want to travel and sightsee. If it is just to stay and sunbathe and play some local golf, then no need. Mijas Vilage is a must. Only 13kms from Marbella and of course Puerto Banus. Fuengirola and its water parks. The apartment is very close to shopping areas including banks, restaurants, laundries etc. Sitio De Calahonda is the most established and well serviced urbanisation in the Costa Del Sol. Booking Notes: 25% non-refundable deposit is required. The balance to be paid 6 weeks prior to the actual rental period. Changeover Day: Ideally Saturday noon time. Notes on prices: Ring me if you want prices on long term lets.